Reading Miller's poetry has been likened to obtaining tickets to exotic places both real and imagined. 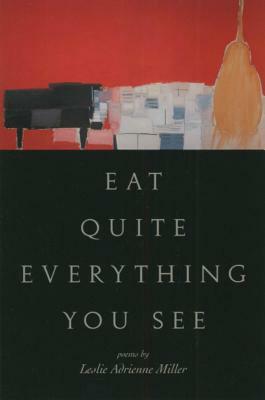 In Eat Quite Everything You See - the fourth collection of her verse - she offers a wry and compelling series of wanderings through the ever-changing landscapes of Europe. With an inquisitive spirit and a generous sense of humor, Miller investigates the experience of otherness in a foreign land, exploring also the phenomena of human culture, womanhood, independence, desire, and love. Leslie Adrienne Miller has written three previous books of poetry. She has also won numerous awards, including an NEA Fellowship and a Loft McKnight Award. She is currently an associate professor of English at the University of St. Thomas in St. Paul, Minnesota.